Introduce diversity and culture to your classroom! 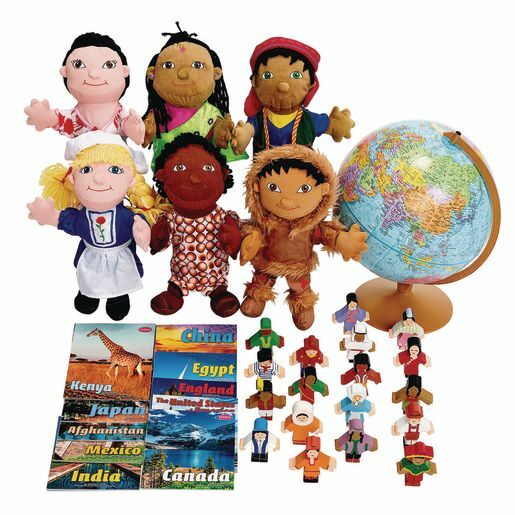 Children will learn similarities and differences between people by exploring languages, locations, customs, ethnicities, wardrobes and more from countries around the world. Includes 10 books on various countries, 18 wooden multicultural children, 6 multicultural puppets and globe. Storage bin included.